Here’s some shoes that are sure to put some spring into your child’s step! Sometimes you can tell a shoe is going to be luxuriously comfy just by looking at it. 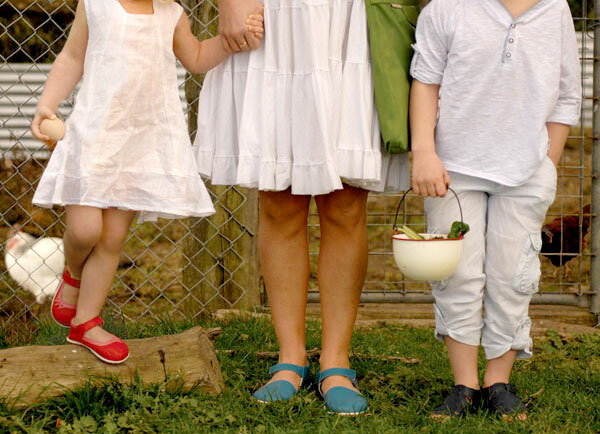 You can see the buttery softness of the leather by the way it sits – it looks pliable and not at all stiff, and that’s exactly what I see in Chook Leaf shoes. You just know they’re going to feel divine to touch, which is vital for small growing feet. It’s been quite some time since we introduced you all to Chook Leaf shoes, so come and see what new designs they have stamping about in the chook shed. The one thing that hasn’t changed over the years is that Chook Leaf styles still embody colour, quality and, above all else, comfort. There are three scrumptious prewalker designs to choose from. including the signature lush Crown Teardrop Shoe, priced $55 (bigger sizes are priced $81) which is available in both red or green, both with a pink metallic trim. 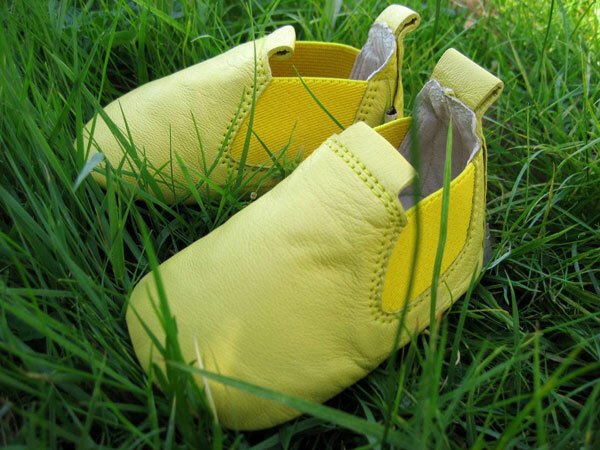 Prewalker booties are also available in Rear Opening style and elastic sided Pekin style, in fabulous unisex colours of yellow, navy and green. Toddlers and younger children don’t miss out on this super stylish footwear, shoe sizing goes beyond prewalker up to a size fourteen. I especially love the boys and girls ankle boots with awesome elastic laces, making for quick getaways out the door! To see the collection in its entirety, head on over to Chook Leaf.